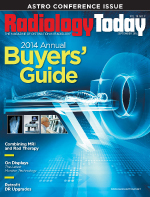 It’s been said more than a few times that the Golden Age of radiology is over. If this means that a time of peace, harmony, stability, and prosperity is over, I won’t argue against it. Another aspect of a Golden Age is that it’s a time of great advancement and accomplishment. The arrival of spiral scanners in the early 1990s and the growth of CT, MRI, and other advanced imaging techniques should be considered part of a Golden Age. Both the stability/prosperity and great advancement aspects of a Golden Age were present from the expansion of the spiral scanner up to 2007. Implementation of the Deficit Reduction Act reimbursement cuts is widely seen, at least in hindsight, as the end of that age. Retrospectively placing radiology’s potential Golden Age on history’s timeline isn’t particularly important, but what happens after the end of an age is important. As a staff writer for Ocular Surgery News in 1989, I covered the resource-based relative value scale (RBRVS) research that begat the Medicare Physician Fee Schedule. At the time, ophthalmology was in its Golden Age. Cataract surgery had evolved from an inpatient procedure with significant recovery time that left the patient reliant on thick, aphakic spectacles to a much less invasive outpatient procedure that reliably provided excellent visual results. As a result, ophthalmologists were busy treating patients who had avoided cataract surgery, and they received excellent Medicare reimbursement for doing it. According to 1988 data from the Health Care Financing Administration, which would become the Centers for Medicare and Medicaid Services, ophthalmologists were the fourth-highest earning specialty—behind cardiac/thoracic surgeons, orthopedists, and cardiologists—earning on average $210,000 per year in private practice. Radiologists were sixth on that list at $189,000. Twenty-five years later, reimbursement for cataract surgery is approximately 70% less than it was then. Two forces drove that reduction. First, the RBRVS contention that surgical procedures were overvalued and that evaluation and management services were undervalued. Second, Medicare administrators wanted to clamp down on what was the program’s largest single expenditure. According to Medcape’s 2014 Physician Compensation Survey, ophthalmologists are the tenth highest-paid specialists today, earning on average $291,000 per year; radiologists rank fifth at $340,000. Dramatic reimbursement cuts forced eye surgeons to adapt their practices by diversifying services, forming larger and more efficient groups, embracing refractive surgery, etc. It wasn’t easy, but the specialty remains a good place to be if you enjoy ophthalmology. There’s no reason to think the same thing isn’t true of radiology. Economic pressures and fortunes wax and wane. The sense of stability rises and falls, but imaging’s great advancements and accomplishments only prove its place in medicine.